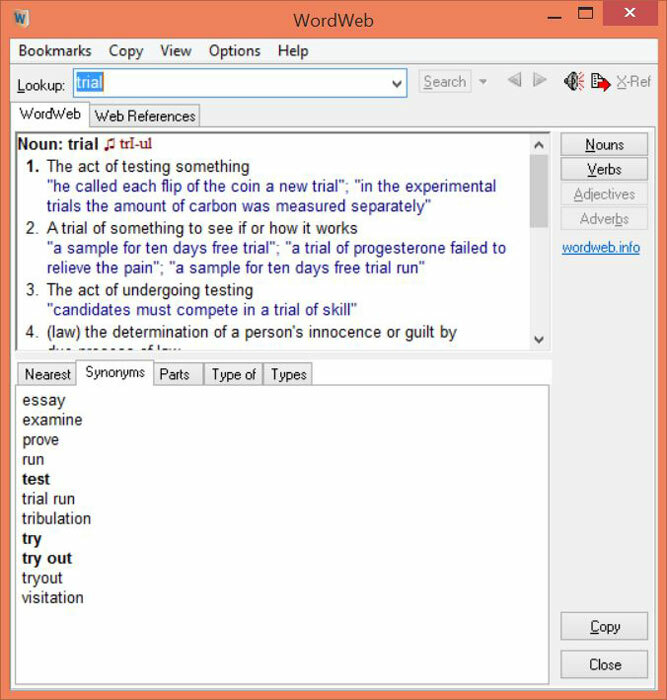 "Get fast access to a handy dictionary right on your desktop with WordWeb"
Tired of having to pull out the good 'ole dictionary from your bookshelf when you need to look up the meaning of a word? Maybe you're not that old fashioned. Maybe you go to the internet and run a search on your favorite search engine or go directly to a dictionary website and look up the word. You have to wait for load times, be ambushed with ads, and the experience just really isn't all that great. But what if there was a program that you could use where all you had to do was enter the word, press 'enter' and there's the definition that you seek. You can then get back to your work fast without having to go through the troubles that you did before. Where there is a program identical to the one in which I speak of. It is called WordWeb. 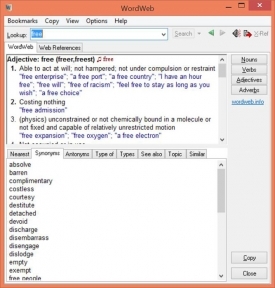 WordWeb is an application that runs on your desktop on your PC. When it is not in use it is stored in your system tray on the bottom right corner completely out of your way so that you can be more productive in your work rather than getting side-tracked by distractions. 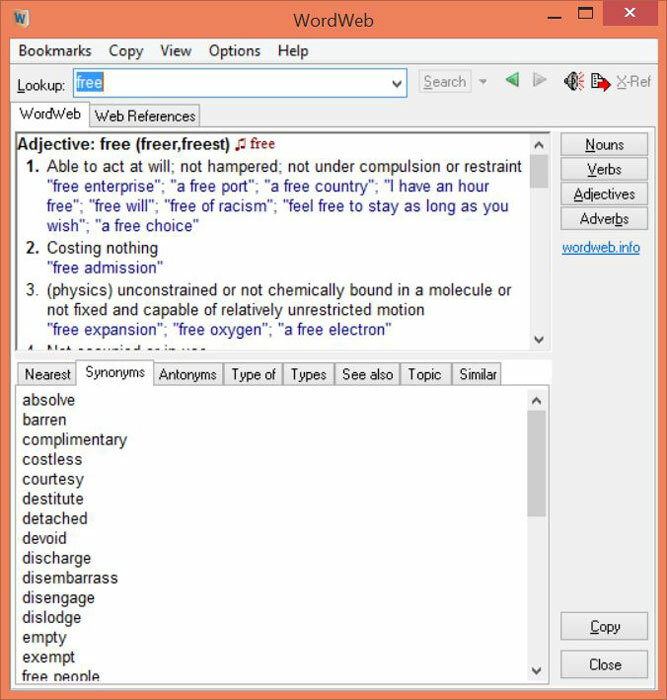 Using WordWeb is very simple. You can access it one of two ways: via hotkey that you can set yourself in order to further customize your experience or via the application's window itself that can be called upon by right clicking the icon in your system tray and clicking "show WordWeb. At that point, all that you have to do is enter your word and press enter on your keyboard.